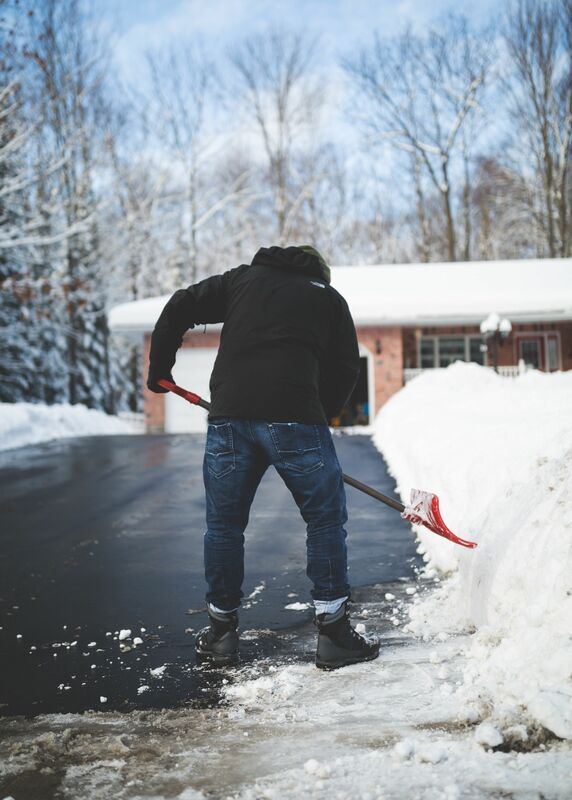 If you have to shovel snow and have a troublesome back, you know there are several things you must do to prevent straining yourself and creating a bigger issue. Stretching and leaving yourself enough time to shovel rather than rushing through are a couple of preventative measures. So is shoveling earlier in the day when the snow is lighter. Yet there are some lesser known steps you can take to also side step problems. Some of the steps Dr. Dwyer recommends includes dressing in layers to avoid overheating and wearing footwear with plenty of cushioning for long periods of standing and sufficient traction to avoid slips that can tweak your back. As always, proper posture is key. Equipment also plays a big part in avoiding problems. Your shovel should be about chest high, allowing you to keep your back straight when lifting. A shovel with a short staff forces you to bend more to lift the load. A too-tall shovel makes the weight heavier at the end. Also keep one hand close to the base of the shovel to balance weight and lessen the strain on your back. Some other suggestions include spraying your shovel with Teflon or a cooking spray. This will keep snow from sticking to your shovel and getting heavier. Again as always, drink lots of liquids before, during and after shoveling. Don’t overdo with hot drinks like coffee or hot chocolate. Coffee contains caffeine, which has a dehydrating effect and adds even more stress to the body. “Chances are even with taking all these precautions you will be sore. It’s important to know the difference between soreness and having tweaked something. When in doubt, give your chiropractor a call to prevent a relatively minor tweak from becoming a bigger problem,” said Dr. Dwyer. If you are not currently seeing a chiropractor and want to explore how chiropractic can help, you can utilize the “Find A Doctor” feature on the Chiropractic Society of Rhode Island’s website.